MoMo’s Restaurant, a San Francsico restaurant featuring outdoor dining, steak dinners, big-screen TVs and happy hours, is announcing its upcoming events for March. San Francisco event facility, MoMo’s Restaurant, one of the premier venues for private parties in San Francisco, is announcing upcoming March events. MoMo’s invites San Francisco Giants fans to join it in cheering and showing support for the team as the players train this spring for another fantastic football season, beginning March 3 at the Giants’ home, AT&T Park. On March 17, enjoy a world-class soccer doubleheader at the AT&T Park as the San Jose Earthquakes and the Houston Dynamo meet at 2:00 p.m. in a Major League Soccer regular season match. Mexico and Senegal contend at 4:30 p.m. in an international match for a chance to play in the Olympics. MoMo’s will also feature NCAA games beginning March 11 and will celebrate St. Patrick’s Day on March 17. Guests can enjoy all these sports events through MoMo’s six big-screen TVs while hearing the live cheering of the crowd across the street. Drink and appetizer specials will be available for a complete sports viewing experience. 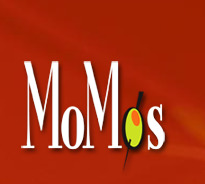 “I had tried Momo's when I was smaller and remember loving it. I came back in 2011 with my boyfriend for lunch. The host was very attentive, as well as our server. The food was delicious. I love this place, especially having the ballpark right there across the street. The money is definitely worth it,” Debbie L. of Hayward said on Yelp.com. To make reservations for these events or for more information about MoMo’s Restaurant, call 415-227-8660, view the restaurant on the web at http://www.sfmomos.com or visit 760 Second St. in San Francisco. MoMo’s Restaurant is situated right across the street from the AT&T Park in the magnificently redeveloped South of Market waterfront. Known for its luscious steak dinners and lively martini hour, MoMo’s is the ideal event facility for private parties, whether sit-down affairs or full-blown celebrations.